'The Light Within' includes artists Mainie Jellett, Patrick Pye, Evie Hone and Imogen Stuart. Later today the Archdiocese of Dublin’s Clonliffe College will open its doors to the public for the first time as a host venue for City Culture night. This is the eighth year Culture Night is taking place. 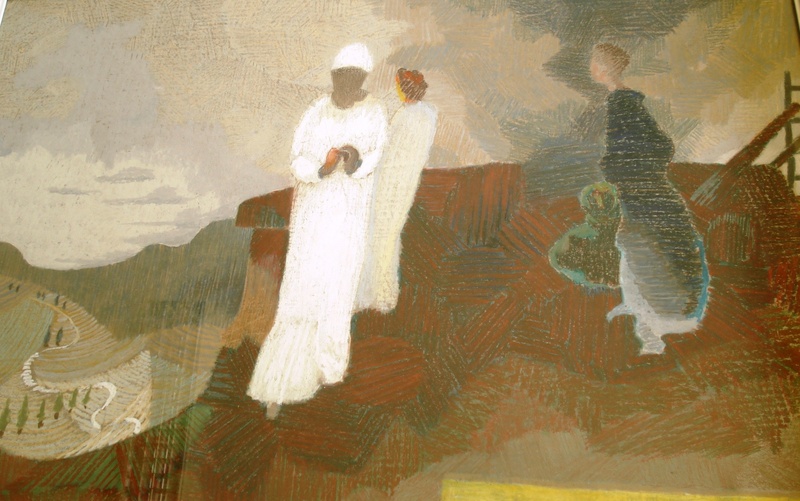 One of the trio of events taking place at Clonliffe College is ‘The Light Within’, an exhibition of 20th century Irish religious art. Two talks on the artists whose works are displayed are lined up at 6.45pm and again at 7.45pm. The artists include Mainie Jellett, Patrick Pye, Evie Hone and Imogen Stuart, and their works have been assembled from private collections especially for the occasion. 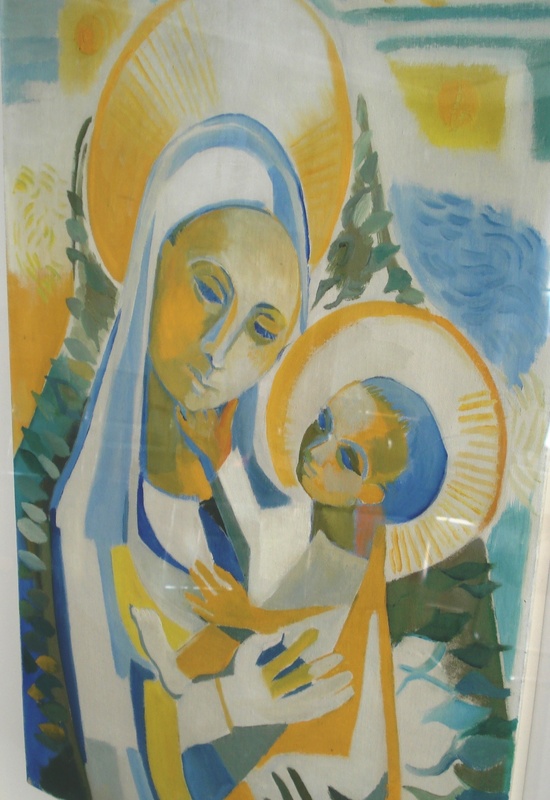 Exhibition organiser, Fr Damian McNeice told CatholicIreland.net that twelve religious artworks by Irish artists, which were all produced in the 20th century, have been borrowed for the evening. He said the exhibition will also feature works by Fr Jack Hanlon, who was a priest of the Dublin Diocese, as well as and Margaret Irwin. “We’re calling this segment of Culture Night in Clonliffe College ‘The Light Within’ because each of the artists is in some way revealing and communicating to us the light of faith that inspired these works,” Fr McNeice explained. “It’s not often that what we call ‘modern’ artists explore explicitly Christian themes and imagery. So when they do, it’s important to pay attention to it,” he said. 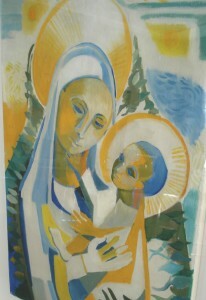 ‘The Della Robbia Madonna’ by Fr Jack Hanlon, oil on canvas, 1950s. The evening of culture begins at 6.15 and continues until 9.15pm. The events include an exhibition of archival material on the 1913 Lockout and an illustrated talk by Dublin Diocesan Archivist, Noelle Dowling, as well as selected readings from Strumpet City by Margaret Ó Dálaigh at 6.15pm and 7.15pm. Visitors to ‘The Light Within’ can attend a guided talk by Fr Damian McNeice on the artworks at 6.45 pm and again 7.45pm. The evening also includes a music recital of Sacred Music from 8.15pm until 9:15pm with the Dublin Diocesan Music Group, soloists and special guest instrumentalists, Denise Kelly (Harp), David Doyle (Cello), directed by Pat O’Donoghue. Music by Aichinger, Charpentier, Handel, Mozart, Pärt, Rachmaninoff, Roberton, Saint-Saens in addition to contemporary Irish composers. Holy Cross College or Clonliffe College is located at the junction of Clonliffe Road and Jones Road, Drumcondra. It was opened on 1 September 1859 as the Catholic diocesan seminary for Dublin by Cardinal Paul Cullen (1803–78).